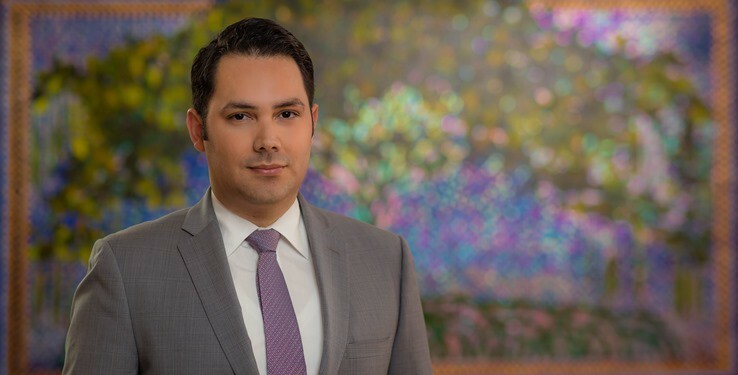 Mr. Figueroa-Matos is an accomplished trial and appellate lawyer with over 7 years of experience representing private employers before state and federal courts in all aspects of labor and employment law. In addition, he represents clients in numerous types of administrative proceedings before local and federal agencies such as the E.E.O.C., the N.L.R.B., the U.S. Department of Labor, the P.R. Department of Labor, and the P.R. Anti-Discrimination Unit, and the Industrial Commission. His multifaceted practice encompasses a broad spectrum of sectors within the national and global economy, including pharmaceutical, manufacturing, retailers, health care, law firms, entertainment, and service. Apart from his labor and employment litigation practice, Mr. Figueroa-Matos routinely counsels clients on a variety of day-to-day personnel matters and practices, including planning and execution of reductions in force, restructuring and reorganizations, investigation of harassment and discrimination complaints, disciplinary measures, leaves and accommodations, employee terminations, internal audits, performance management, and executive employment issues. He focuses on providing clients with strategic and practical advice to manage workplace issues, partnering with clients to obtain outcomes which suit their business and minimize the risk of litigation. As a member of the Mergers & Acquisitions Practice Team, he provides legal counsel to clients during startups, acquisitions, mergers and closings of operations. He also assists clients with the preparation of employee handbooks and personnel policies, conducts employee training seminars, and frequently speaks on employment-related topics before clients and numerous business organizations, including the Society for Human Resources Management. Among the topics on which Mr. Figueroa-Matos has recently lectured are: the Puerto Rico Transformation and Flexibility Act of January 26, 2017; medical marijuana; telecommuting; sexual orientation and gender identity discrimination; electronic communications in the workplace; social media; and electronic discovery. In addition, Mr. Figueroa-Matos has experience in family law litigation, criminal law, and general civil litigation. He has had a notable and active participation in litigating complex state cases at the appellate level. He collaborated in the prosecution and defense of multiple injunctive and declaratory relief lawsuits arising from student conflict throughout the University of Puerto Rico’s 11-campus system and which put the University at risk with national and local accrediting agencies. One of these lawsuits resulted in the landmark Opinion of the Puerto Rico Supreme Court in Universidad de Puerto Rico v. Laborde Torres, 180 D.P.R. 253 (2010), which balances protesters’ and non-protesters’ freedom of speech rights. Through the Firm’s Pro Bono Program, Mr. Figueroa-Matos also provides legal advice to, among others, El Centro Para Puerto Rico, a charitable institution that boosts community self-management and promotes social and educational endeavors intended to reduce poverty and inequality, encourage the role of women in society, strengthen ethical values, support urban revitalization, and stimulate social responsibility. Before attending law school, he served as Trust Officer at Banco Santander, which at the time was one of the 100 largest trusts in the U.S., and the second largest in Puerto Rico. During his tenure at Banco Santander, he administered retirement plan trusts, personal trusts, corporate trusts, and Individual Retirement Accounts (IRAs).